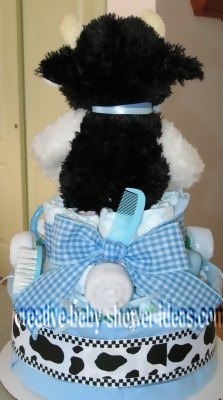 Make a Diaper Cake - Photos and tips to help! 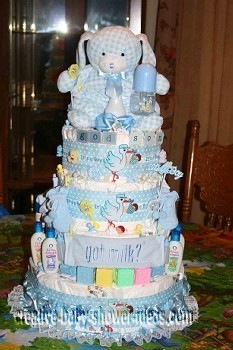 If you are thinking making a diaper cake, take a look at all of the ideas we have listed on the website. Our photo galleries are full of pictures, ideas, and tips shared by other women. 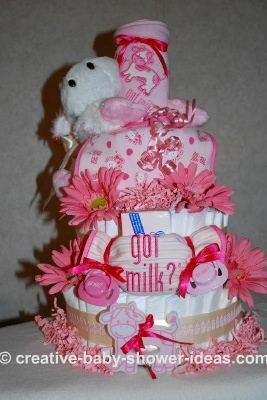 This portion of the gallery is dedicated to the "Got Milk" style of cakes. If you feel inspired to create your own cake, make sure share it with us! Every picture helps others to create a fabulous masterpiece! 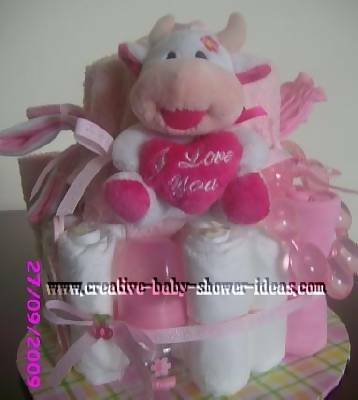 These diapers are rolled and then decorated with baby girl cow items. 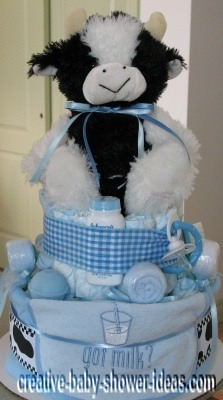 This is my first Diaper cake I'm so proud of it. Thanks for giving me the opportunity to share my cake. I'm a WAHM and I made this Pink Got Milk? 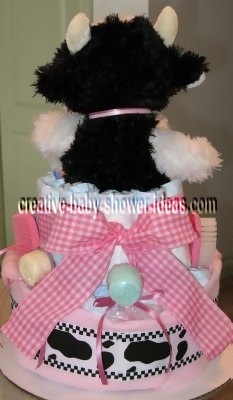 diaper cake as a sample for my new website, but it didn't last long! I couldn't find a ribbon to go with the theme, so I designed my own with some pink bottle accent ribbon I found and attached it to 1 1/2" cream satin ribbon with a fuse-able bonding web with an iron. All the items are Got Milk? 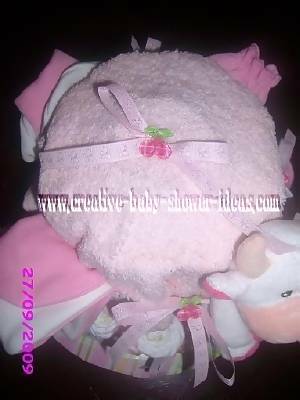 themed, including a cute pink & white plush cow I found! I topped it off with a Got Milk? bath towel in the top layer and pink gerbera daisies! This is one of my favorite designs! Hope you enjoy!! 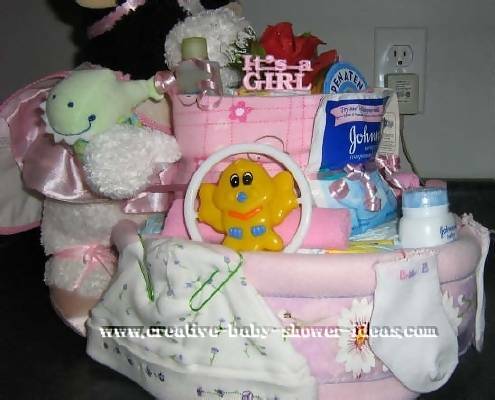 Have You Made A Diaper Cake? Share Your Photos!